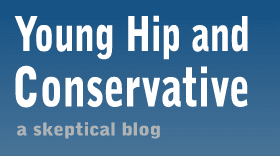 Young, Hip and Conservative: a skeptical blog: Get to the choppa! There's a post going around showing some fools on Twitter that made a silly mistake while dreaming of winning the Powerball lottery. The jackpot was about $600 million and the U.S. population is a little more than 300 million, so some people said why doesn't the winner just give everyone $1 million and keep the rest. All obvious jokes aside, what if the jackpot was big enough to give every American $1 million on a whim. Would that really make everyone rich? No. I argue it would make everyone poor. Sure, inequality would go down, student loan and credit card debt would be wiped out, but we could do that any time we wanted with a simple Federal Reserve policy. The reason we don't is the consequences would be worse. Economists have a similar concept called a helicopter drop. The idea is to imagine what would happen if the FED printed a lot of money and dropped it on the public from a helicopter, or went into everyone's wallets and bank accounts and doubled their money. Money is just a proxy for resources and when you have more and more green pieces of papers representing the same amount of goods and services, the value of those green pieces of paper plummets. We know that concept as "inflation." That house on the lake someone was willing to sell for $400,000 will fetch a much higher price now, as anyone can afford it that price now and they will try to outbid each other to get it. Now picture every American's amount of money on hand. Picture a person with $200 to their name, another with $5,000 saved up, a third with $50,000 saved and one more with $100 million. There are some big differences between them now, but watch what happens when you give them each $1 million. They are now each worth $1.0002 million, $1.005 million, $1.05 million and $101 million. Congratulations you've reduced inequality, but you've also destroyed most peoples savings. I'm not sure that anyone who doesn't already realize the point you're making will realize it after reading this post. Unless one is already economically minded, it isn't possible to see how anyone's savings were destroyed. People will fixate on the concept that everyone now has a million dollars and isn't that just grand? !